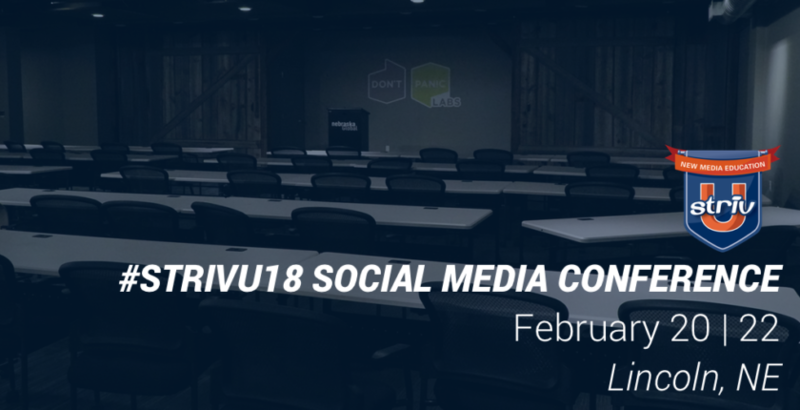 Want to know why you should attend our #StrivU18 Winter Social Media Conference? Watch our short promotional video! Dates: February 20th — the 22nd date is FULL! Lunch will be on your own – choose from restaurants in downtown Lincoln like Jimmy Johns, Burgerfi, Panera Bread, Chipotle, Noodles and Company and many more! Contact sara@striv.tv for more information!